A double-chapter review featuring Brandish, Kyria and Touka, while also mentioning Gajeel's past? Well, I'm sure that will make up for the fact that 100 Year Quest predictably let me down in a certain area that I told you all would happen last time! It must be such a pain to come up with these covers. Our first chapter begins where we left off last time, with Lucy shocked to see lovable Brandish. She tells the group about the fates of the Spriggan 12, which is something I've always wanted to hear. Ajeel took the throne since he was once a prince from a small country, with Jacob/Jason Statham as his sidekick/assistant. Dimaria has gone to live peacefully on a farm, while Invel and Neinhart are in prison for trying to start another war after their defeat. And it's confirmed that August, Irene, Bloodman, Larcade, Wahl and God Serena died, if you weren't sure. I feel like this page opens up a lot of lore we're missing out on... Also, Dimaria is living on that farm with Brandish and the three people that read these reviews cannot convince me otherwise! Brandish immediately passes on helping the characters, since she's actually on her way to get Aquarius' key in Giltina. However, she does return Gray to normal size and leaves with a smile on her face. 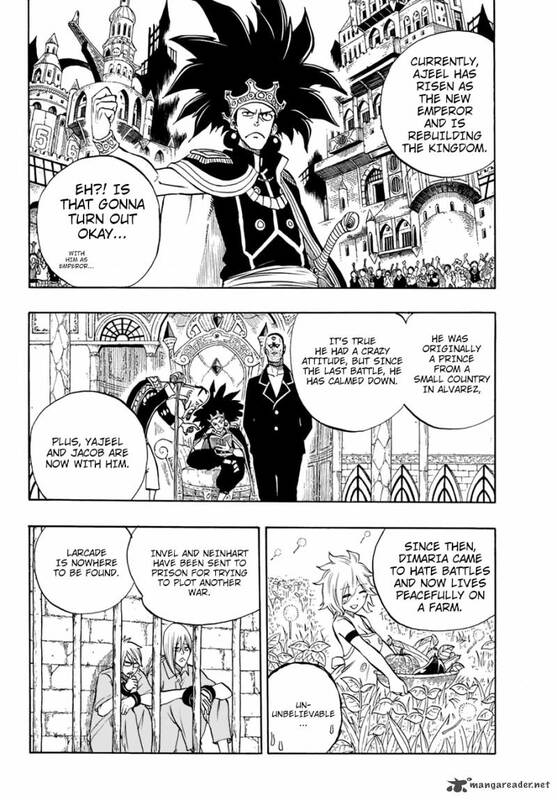 Back to Magnolia, it turns out that Jellal and Laxus didn't have their fight but Jellal is refusing to leave the town until Touka is dealt with. And Jellal takes us to weak Erza. 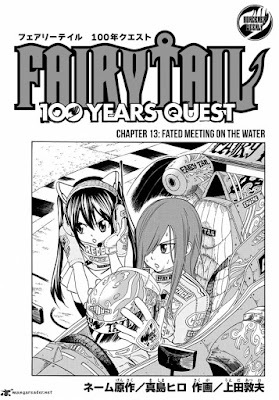 We see a page or two of Kyria having fun tormenting Erza, which is something I'm starting to suspect the writers were enjoying too, until Kyria goes to bed. Erza gets back up, and actually seems fine. 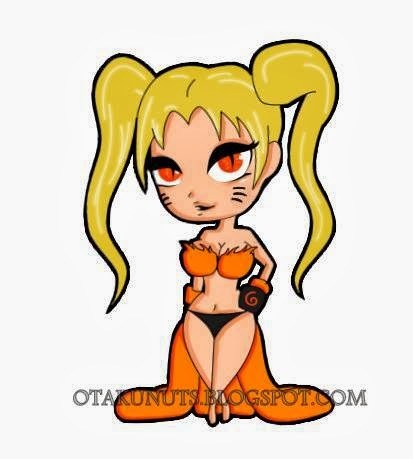 She refuses to attack Kyria since she's asleep, and heads down to free Natsu and Wendy. It turns out that Kryia's curse was a hypnosis spell, and Erza's false eye cut the spell in half. Before things can get started however, the motion sickness kicks in... and is then stopped when the boat is lifted up by a rock suddenly being expanded from Brandish's magic. You know that feeling you get when you realise other people are probably getting turned on by something you're reading/watching? Our next chapter starts off with Erza racing off to face Kyria so she can have some vengeance, while the Dragon Slayers run into Skarion. He turns Natsu's flames into ashes, but Wendy's assistance in wind helps him attack. Next, we return to Magnolia where Touka is back in Fairy Tail, thanking Laxus for what he did. 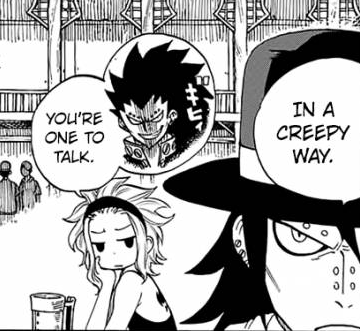 Gajeel is positive he noticed an evil smirk on her face though. Touka says she is going home, not able to share her secret, but instead heads to threaten Jellal. Opinion: Okay, now Diaboros is going to be defeated. I think we're all sure that it's time for these villains to meet their end, or at least collapse, over the next two chapters, since I very much doubt they're strong enough in personality or power to last three rounds of fighting. I've expressed shock in the past that they've managed to be around this long after all, but I'll miss them when they do go. Maybe they'll be our next Jellal/Oracion Seis/Gajeel/Juvia/Vegeta. As you all know, I loved seeing Brandish again because I am a Brandish x Me shipper, and the promise that we'll see her again when hunting for the key to Aquarius is a great relief. Makes me wonder if the series plans to go past the 100 Year Quest, or if the quest itself will bring them to Giltina next. Speaking of which, we seem to have gone off-course. The story regarding the Water God has literally left unfinished, and we're now not anywhere near him or his assistant. Maybe they're planning a Deus Ex Machina return to dish out some punishment, but it is becoming a glaring issue. Is it just me, or does Levy seem a bit more harsh than usual these days? And what a surprise, we didn't get Laxus vs Jellal! I knew it! I didn't want to know it, but I knew it! What could have been an amazing fight between two of the most powerful characters was teased, but taken away as soon as I got curious. Why would you do that?! Is it because Jellal would win?! That's not fair! Lastly, we're still teasing Touka. I feel like we're at a stage where Touka's reveal is either going to completely change this section of Fairy Tail, or it's going to be a punchline that will equally piss me off and make me laugh. Regardless, I'm starting to think it won't live up to the hype, unless she turns out to be a reincarnated Larcade or something. On a final note, is anyone still reading Eden's Zero? Give me your thoughts below. I'm genuinely curious to see what you think about it so far. Best Part: Return to fight! Worst Part: No Jellal vs Laxus. So... is this a clue that we're not getting any more FT 100 Year Quest this month? Awww. Nice review oncemore! Keep up the good work. I'm still reading Edens zero, yes. 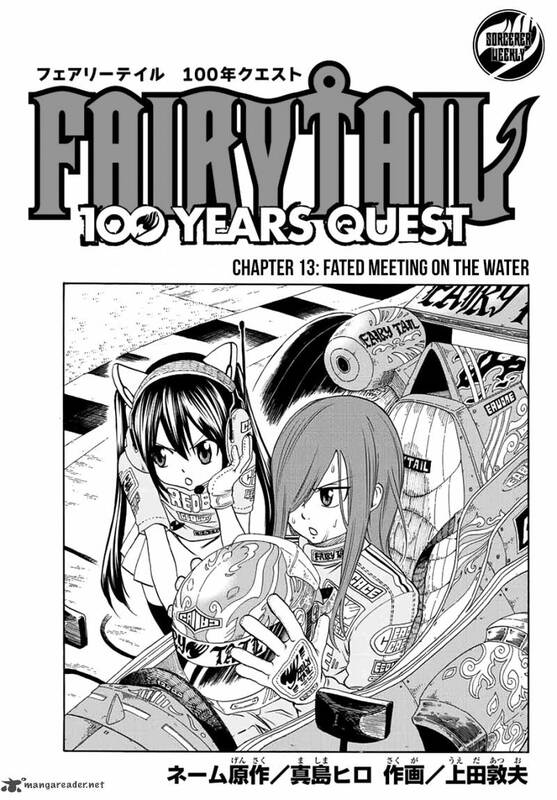 While I do like the premise and story so far, the issues Fairy tail had are starting to show up here as well. Rebecca getting vulnerable and naked for no real reason, Shiki showing up to rescue her, unexplainable power ups, and some goofy looking stupid villains. While I can still excuse the rest as typical shonen cliches, I wish Rebecca didn't have to wait for Shiki to show up. She was shown to be able to fight on her own as well, so I don't understand why Hiro still insists on her being so dependent on Shiki. And that's honestly a shame. I've been glancing on and off with EZ over the past few weeks, especially since so many other series like MHA and UQ Holder catch my eye, so I'm a bit off with what's happening regarding the manga. But to know that it's still Shiki fighting every fight, with Rebecca not allowed to win despite showing she is capable, is truly an annoying shame. Not a deal-breaker, but a painful problem. At least Lucy still fought for herself, even from the beginning. Not as effectively, but she still did it! I agreed. I can only hope Hiro realises this and let's Rebecca shine in fights as well, not just during fanservice-y moments. Looking forward to more reviews from you! Good luck!